Morning! (or should I just say good afternoon?) I just spent my morning on bed, i almost wanted to sleep for the whole weekend, but my stomach rumbled loud to wake me up…fine…I go make something for you! Preheat oven to 180℃ for at least 10 minutes. 1. Cut a hole, actually you don’t have to cut it out, just leave a mark is okay. 2. 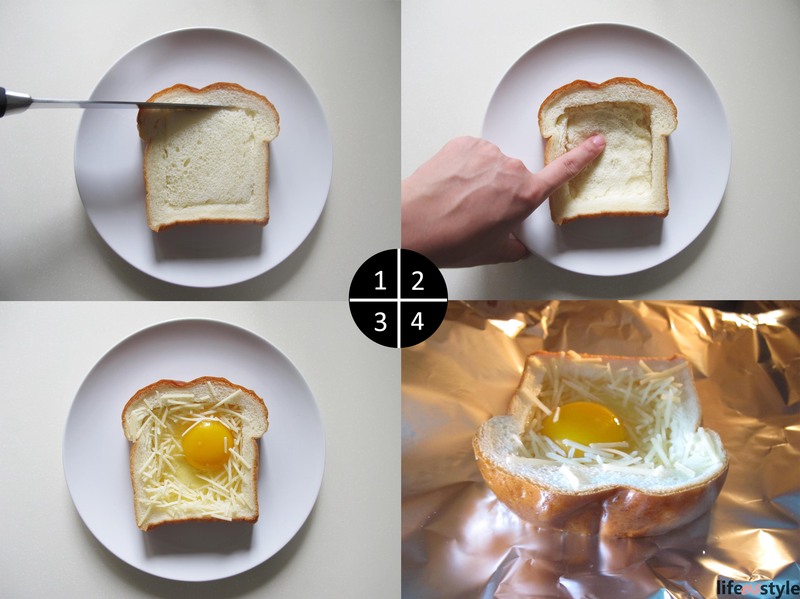 Press down the bread to make some space for egg. 3. 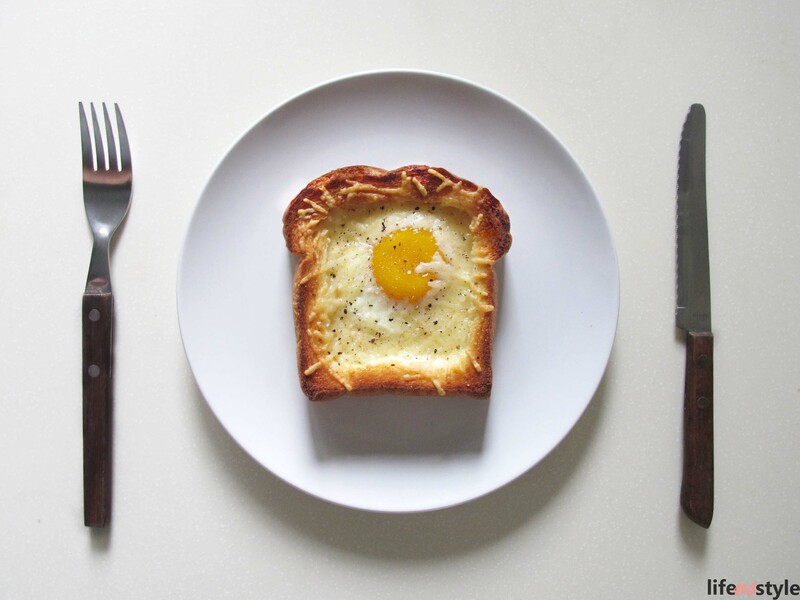 Add the egg onto the hole, place Parmesan cheese around. 4. Bake for around 10 minutes until the egg white is just set (it’s time to brush teeth and wash face XD). 5. Ding ding ding…season with salt and pepper to taste.